The tools and techniques used in Design of Experiments (DoE) have been proven successful in meeting the challenge of continuous improvement in many manufacturing organisations over the last two decades. However research has shown that application of this powerful technique in many companies is limited due to a lack of statistical knowledge required for its effective implementation. Although many books have been written on this subject, they are mainly by statisticians, for statisticians and not appropriate for engineers. 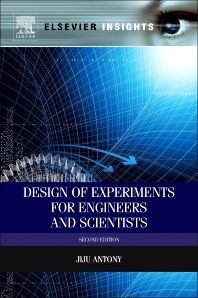 Design of Experiments for Engineers and Scientists overcomes the problem of statistics by taking a unique approach using graphical tools. The same outcomes and conclusions are reached as through using statistical methods and readers will find the concepts in this book both familiar and easy to understand. This new edition includes a chapter on the role of DoE within Six Sigma methodology and also shows through the use of simple case studies its importance in the service industry. It is essential reading for engineers and scientists from all disciplines tackling all kinds of manufacturing, product and process quality problems and will be an ideal resource for students of this topic. 11.1 What is Six Sigma? 11.3 Who Makes Six Sigma Work?